We are professional, experienced, TAM-certified bartenders that are ready to bartend your next event. Our versatile and knowledgeable staff, with over 20 years experience in the bar service industry, strives for you to have a stress-free, fun event for you and your guests. We specialize in all sizes and types of events. Proudly serving the greater Baltimore metropolitan area and parts of Pennsylvania and Delaware. Top Shelf Mobile Bartending is proudly owned and operated by Shelly Carr and Christi Silate. We take pride in our work and ensure that every event achieves the highest standards of professionalism and service. We love what we do and look forward to being a part of your special occassion. We have vast experience and knowledge in mixing and serving drinks of all varieties. Checkout our pricing list below to get a sense of the services that we will be able to provide for you at your event. Not sure if we're a good fit for what you're looking for? Give us a call and lets chat! Top Shelf Mobile Bartending is a new and growing business. We were recently featured on The Knot (www.theknot.com) and will share here on our website other locations and publications where you can find us. Click on the link below to learn more and see our profile on TheKnot.com. 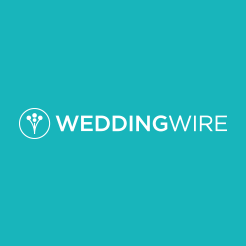 Top Shelf Mobile Bartending is now a vendor on Wedding Wire! Click below to learn more. Experienced, professional, TAM-certified mobile bartenders with over twenty years experience in the bar service industry. Serving the Baltimore Metropolitan, Pennsylvania and Delaware areas.